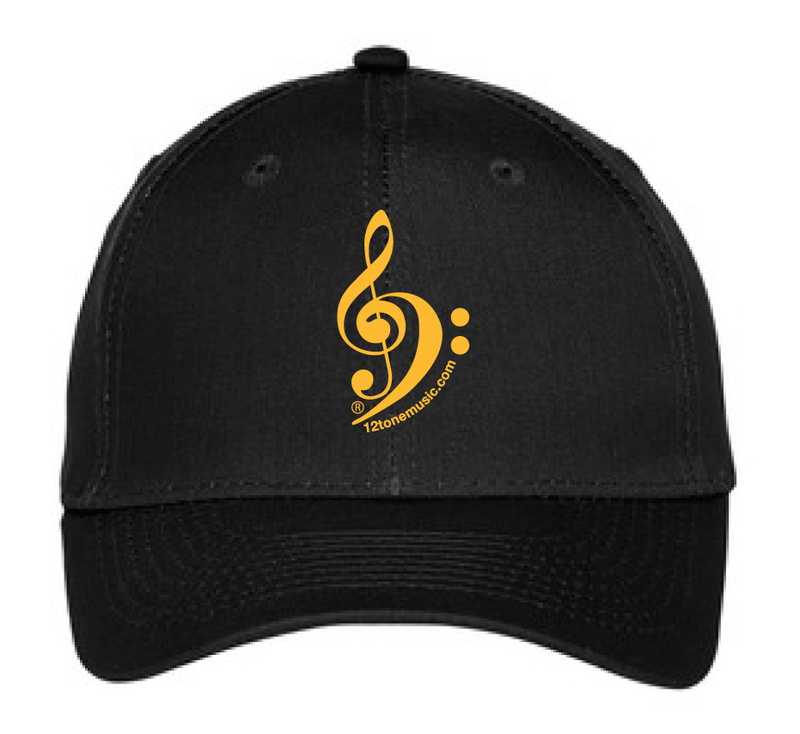 The Official 12 Tone Music Cap is available and on SALE with now! It's the fashionable way to share your love of guitar and bass with others at home, at work and at the gig. Highest quality 100% soft black brushed cotton with an embroidered yellow-gold logo. Classic relaxed structure and antique brass buckle closure assures a comfortable fit for everyone. It's the perfect gift for any occasion!